Home Fitness & Lifestyle What Are Electrolytes, and Why Do We Need Them? Takeaway: Electrolytes play a significant role in a variety of bodily functions, from managing cramps after exercise to maintaining cell growth. 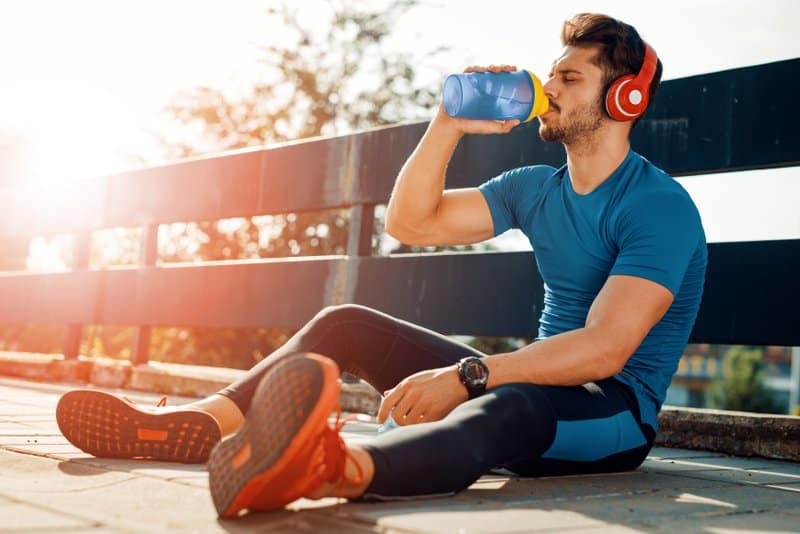 While it’s true that long periods of physical activity can lead to electrolyte loss, it’s not always the best idea to supplement your lost electrolytes with sports drinks. Instead, make sure that you’re eating a healthy balanced diet and you’re staying hydrated to keep those electrolyte levels where they should be. Popular sports drinks like Gatorade and Powerade often talk about their ability to revitalize your electrolytes after you exercise. But, exactly what is an electrolyte and why are they so important to maintain? These essential nutrients are not only vital for avoiding cramps and keeping your energy post-workout, but they’re also key ingredients to a wide variety of essential bodily functions. What Else is an Electrolyte? Electrolytes are defined as particles that can carry a positive or negative electric charge that is formed by vital minerals found in your sweat, blood, and urine. When these minerals dissolve in a fluid, they become positive or negative ions that are used in several of the body’s metabolic processes. These particles come in many forms, like the popular sodium or calcium, but they are all equally important to a properly functioning body. While different electrolytes can perform slightly different functions, they generally are in charge of regulating the flow of water in and out of cells and sparking nerve impulses. They do this by carrying the electrical energy necessary for several functions, such as muscle contractions, throughout the body to the relevant cells. When your body is low on electrolytes, one way of letting you know is by cramping up your muscles. If you want to perform at your absolute best whether you’re working out or you’re just living life, you’re going to need a consistent and adequate supply of electrolytes. These chemicals are responsible for maintaining the proper functioning of several processes and systems within the body, like the digestive, nervous, cardiac, and muscular systems. Sodium, a key electrolyte, has the major role of moving across the nerve cell membrane to create nerve impulses within the nervous system. It does this by changing the electrical charge of the nerve cell membrane, setting off a chain reaction and moving sodium ions along the nerve cell. In this way, it facilitates the brain’s ability to communicate with the body’s cells. Calcium, another essential electrolyte, is necessary for the process of muscle contraction. It helps by allowing muscle fibers to move and slide in conjunction with each other as the muscle contracts assisting in avoiding cramping or pulled muscles. Magnesium is also an important electrolyte for your muscles due to its ability to help them relax. Sodium is also a major player in keeping your cells and, in turn, your body properly hydrated. By helping to maintain fluid balance as water moves through the cells, electrolytes like sodium prevent them from bursting with too much water or shriveling up from not enough. They do this through osmosis, which is the process where water moves through the cell and gains more electrolytes in the process. 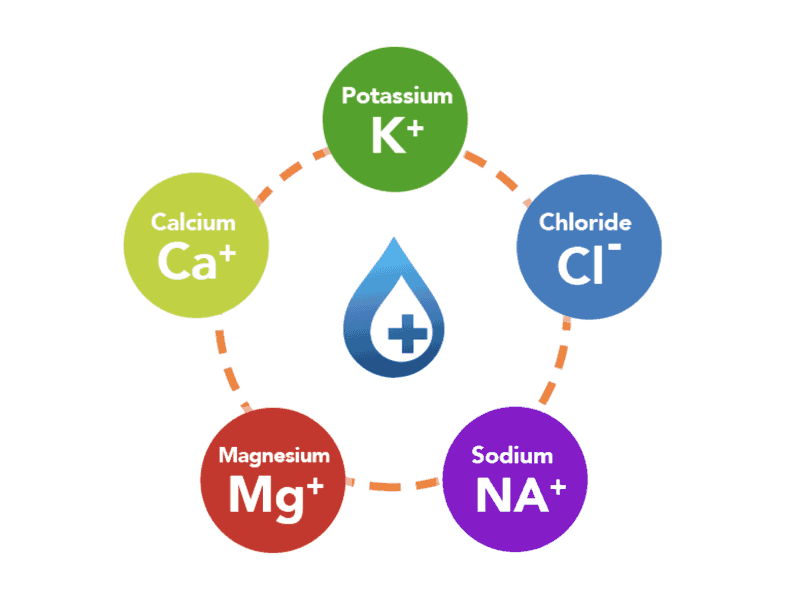 Keeping your electrolytes balanced is critical in maintaining a normal pH level in the blood. Electrolytes, specifically sodium and chloride, help to keep your blood at a healthy pH level of about 7.35 to 7.45. If your blood moves away from this number, it will become either too acidic or too alkaline causing the body to malfunction. In the body, there are seven major types of electrolytes that are vital for a plethora of bodily functions. From helping form bones to generating nerve impulses, each type of electrolyte has a specific main function that it helps perform. It’s important to maintain healthy electrolyte levels in the blood to avoid cramping, dehydration, and in severe cases, electrolyte imbalance disorders. Potassium is an electrolyte with several necessary jobs, such as helping to conduct nerve impulses and muscle contractions. It also regulates the flow of fluids and nutrients in and out of cells, as well as keeping your blood pressure normal. An average blood potassium level is 3.5 to 5 mEq/L according to the US Food and Drug Administration. Sodium: This electrolyte is possibly the most abundant of the bunch when combined with chloride to create table salt. Sodium’s primary function is to help regulate the total amount of water in the body, as well as generate important electrical signals for the nervous system. A normal blood sodium level would be 135 to 147 mEq/L. Combining with sodium to create table salt, this electrolyte also plays a vital role in helping the body maintain a healthy balance of fluids. Chloride is also responsible for maintaining proper blood pressure, volume, and pH level. A normal chloride serum range in the blood is 98 to 106 mEq/L. This electrolyte plays many roles, being an essential mineral for bone formation, muscle contraction, normal enzyme function, blood clotting, and regular heart rhythm. Around 99% of the body’s calcium is stored in the bones and teeth. A normal serum calcium range in the blood is 4.5 to 5.5 mEq/L. Helping calcium and oxygen transport throughout the body’s cells, magnesium also directly affects sodium and potassium transport. Magnesium also helps to maintain normal muscle and nerve function, as well as support a healthy immune and cardiovascular system. A normal magnesium level is 1.5 to 3 mEq/L. While this electrolyte is necessary for bone formation like calcium, it’s also a building block for substances used as cell energy, cell membranes, and DNA. Excess phosphate is excreted from the body in the form of urine due to it being controlled by the kidneys. A normal phosphate level is 1.8 to 2.3 mEq/L. Your body naturally produces enough bicarbonate to be healthy unlike most of the other electrolytes which must be obtained through diet. Bicarbonate helps to maintain the normal acidic pH levels in your blood and other bodily fluids and is usually only interfered with because of certain medications. A normal bicarbonate serum range is 18 to 30 mEq/L. An electrolyte imbalance can happen when the electrolyte levels in your blood are too high or low compared to normal levels. 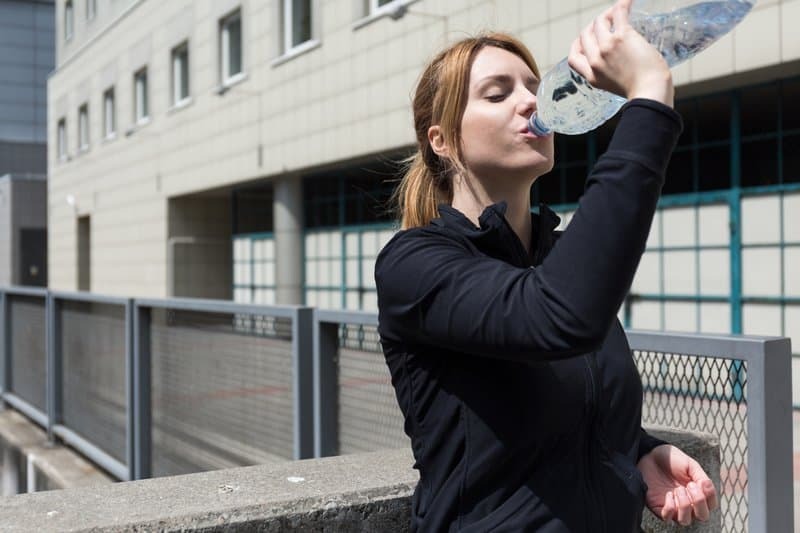 Most commonly, electrolyte imbalance occurs due to dehydration caused by vomiting, diarrhea, or excess heat exemplifying how important it is to stay hydrated when you’re ill or in hot weather. Electrolyte imbalance can also be caused by certain injuries and illnesses such as eating disorders, severe burns, and kidney disease. Calcium: Hypercalcemia means you have too much calcium in your blood, usually due to kidney disease, thyroid disorders, lung diseases, or certain cancers. Hypercalcemia means you have too little calcium in your blood, usually caused by kidney failure, vitamin D deficiency, pancreatitis, or prostate cancer. Chloride: Hyperchloremia happens when there’s too much chloride in the blood usually due to severe hydration, kidney failure or dialysis. Hypochloremia occurs when there isn’t enough chloride in the body and is generally caused by sodium or potassium problems, as well as cystic fibrosis or eating disorders. Magnesium: Hypomagnesemia occurs when there is too little magnesium in the blood, usually caused by alcohol use disorder, malnutrition, malabsorption, chronic diarrhea, excessive sweating or heart failure. This also results in an increased level of calcium in the body. Potassium: Hyperkalemia can happen when there is too much potassium in the blood and is one of the most fatal electrolyte imbalances. It can be caused by severe hydration, kidney failure, or severe acidosis. Hypokalemia occurs when there is too little potassium in the blood which is usually as a result of eating disorders, severe vomiting, diarrhea, or dehydration. Sodium: Hypernatremia is experienced when there’s too much sodium in the body and is typically caused by severe hydration or excessive loss of bodily fluids through vomiting, diarrhea, or sweating. Hyponatremia occurs when there isn’t enough sodium in the body, often due to excessive fluid loss through the skin, vomiting, diarrhea, poor nutrition, alcohol use disorder, or overhydration. Phosphate: Hyperphosphatemia, or high levels of phosphate in the body, can occur because of low calcium levels, chronic kidney disease, or severe muscle injury. Hypophosphatemia, which means low phosphate levels, is usually a result of acute alcohol abuse, severe burns, starvation, or vitamin D deficiency. While mild electrolyte disturbance doesn’t generally show any symptoms, severe electrolyte imbalance, or electrolyte deficiency, may exhibit any of the following symptoms. 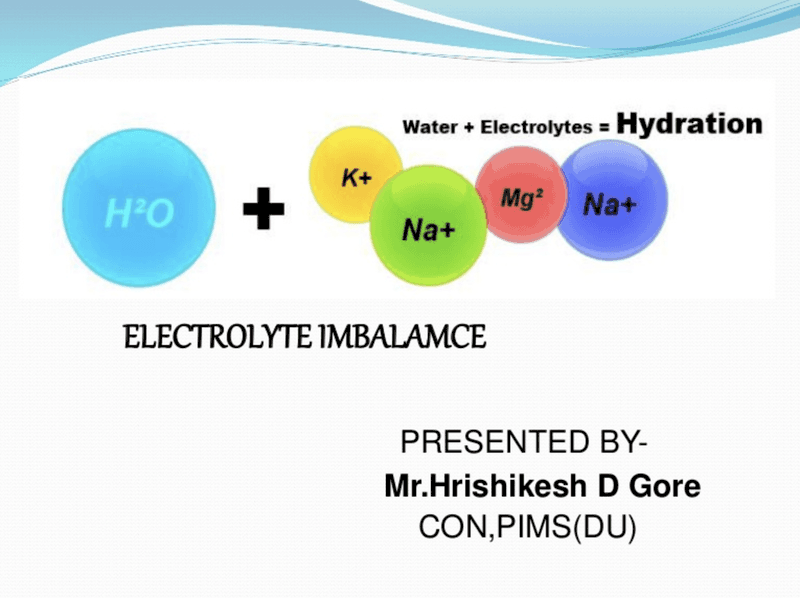 Electrolyte imbalance symptoms can vary in severity depending on the extent of the imbalance. If you feel that you may be suffering from any of the following symptoms of low electrolytes or high electrolytes, talk to your doctor about how to proceed. One of the main reasons that people want to know how to replenish electrolytes is the fact that an excessive amount is lost when you work out. The electrolytes in your body get deposited into sweat glands during exercise, followed by water that eventually fills the glands up and releases as sweat on your skin. If your electrolyte levels are already low, this may result in muscle cramps and dehydration. Since sweat contains around 40 to 60 mmol/L of sodium, extended periods of strenuous activity usually amounts to major electrolyte loss. However, the actual amount of electrolytes lost during physical activity varies from person to person according to new research. So, instead of immediately jumping to taking salt capsules or downing bottles of Gatorade, make sure that your diet contains enough of these sources of natural electrolytes. Sodium: Western diets are extremely high in sodium already, so you most likely don’t need to add any more to yours. However, if you need more sodium, the best dietary sources of sodium would be table salt, cheese, and pickled foods. Chloride: Since this electrolyte combines with sodium to create table salt, this is the best way to gain chloride. You can also find chloride in seaweed, rye, tomatoes, lettuce, celery, and olives. You can often find chloride in foods combined with potassium. Potassium: Bananas are the most popular fruit associated with this electrolyte, but avocados and sweet potatoes are also excellent sources of potassium. Magnesium: Great sources of magnesium include unrefined whole grain bread as well as cereals, green leafy vegetables, seeds, and nuts. Calcium: While dairy products are a major source of calcium, you can still get this electrolyte from fortified dairy alternatives and green leafy vegetables if you’re vegan. Water: To avoid dehydration and encourage normal electrolyte levels, staying hydrated and drinking plenty of water is always recommended. Drinking small amounts of water every 10 to 15 minutes of exercise is best, helping to replace the water lost through sweat. Should You Take Electrolyte Supplements? 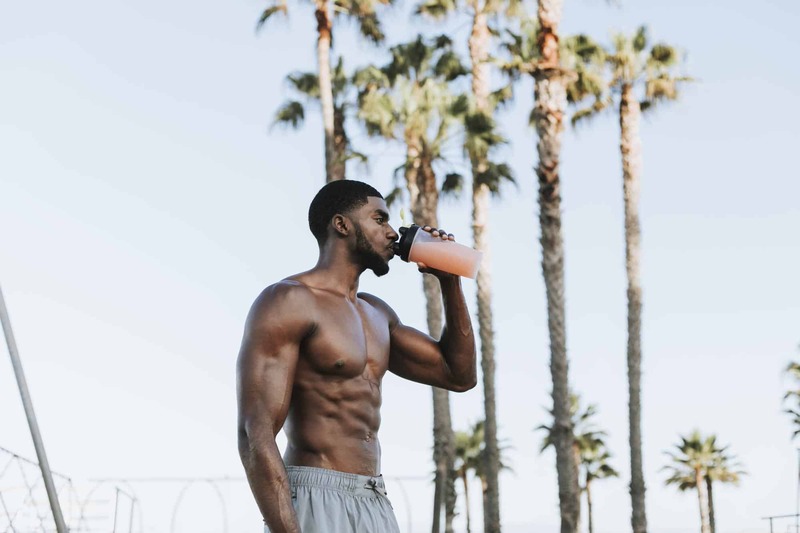 While electrolyte waters, sports drinks, and electrolyte supplements are popular within the work out community, they may not be necessary to ensure you’re getting enough electrolytes. Some electrolyte supplements, like salt pills or high sodium sports drinks, may actually cause an excess of sodium in your body, which can lead to detrimental conditions. Including electrolyte sources into your balanced diet should be enough to keep a normal electrolyte level in your body, without needing to risk adding extra supplements. However, some specific cases of excessive electrolyte loss (vomiting and diarrhea) may call for a rehydration solution with electrolytes such as Pedialyte. If this is necessary, consume the level of electrolytes that you’ve lost and pay attention to the instructions on your chosen rehydration solution. It’s always best to consult your doctor first before deciding to supplement with electrolytes due to excessive deficiency or loss.